It was beautiful sunny weather for the morning of the 13th day of our trip. 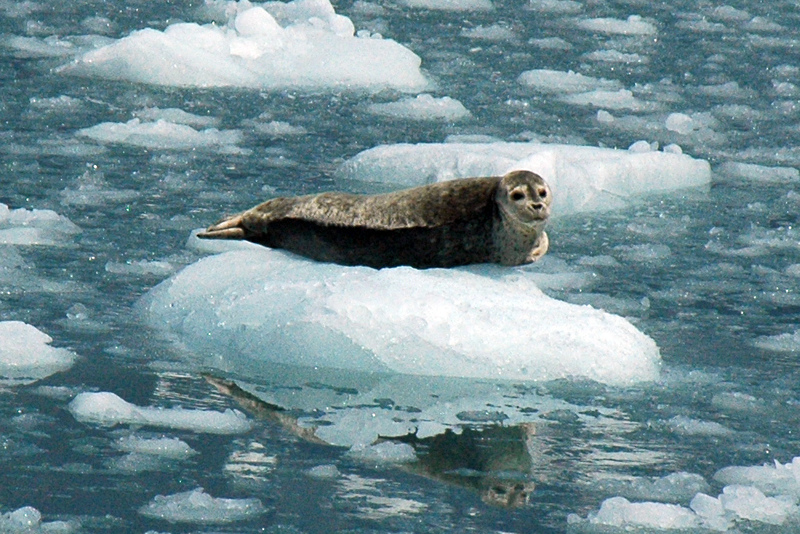 We explored the marina in Valdez before taking a nine-hour Prince William Sound excursion on a Stan Stevens’ Cruise Ship. 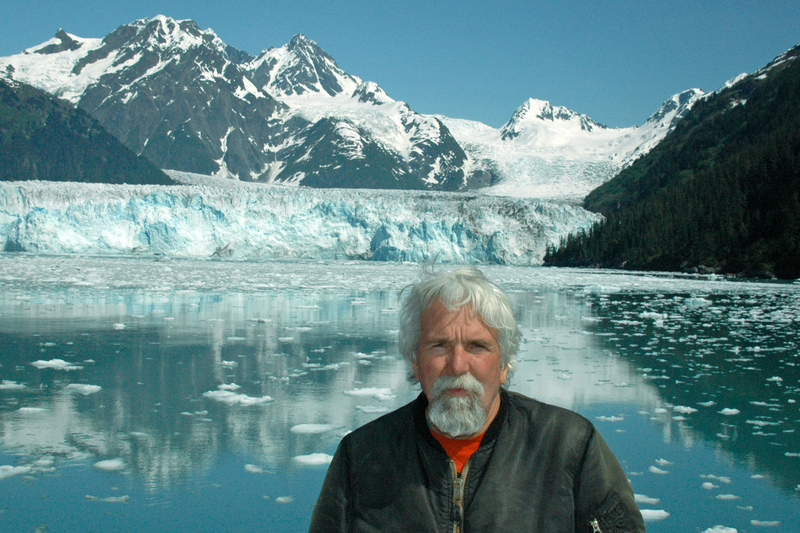 Stan was a fixture in this part of Alaska and we were lucky to have had him as our captain. 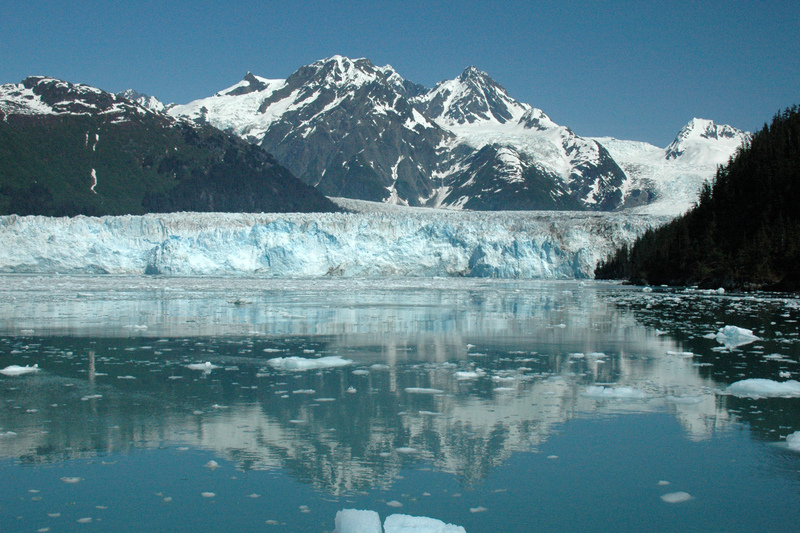 The cruise took us by the Trans-Alaska Pipeline Terminal, Bligh Island, Columbia Glacier and Meares Glacier. 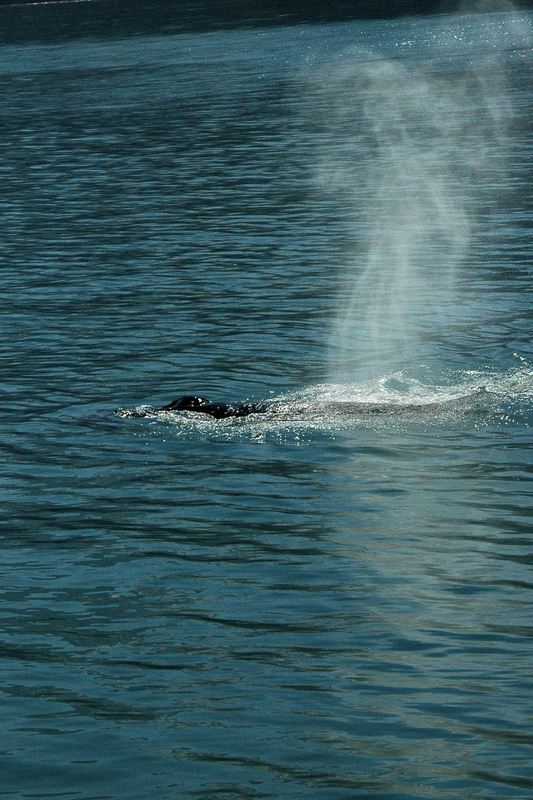 We saw humpback whales, Steller sea lions, harbor seals, Dall’s porpoise and many sea otters. 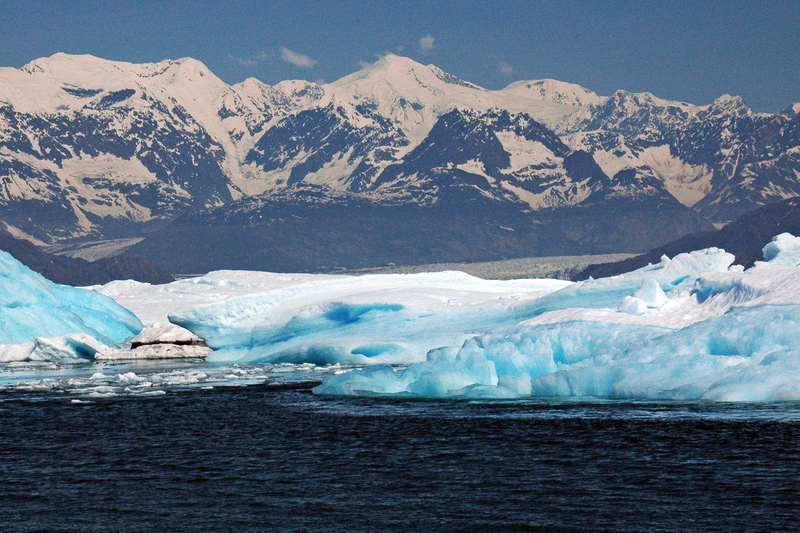 Stan took us up close to some of the major glaciers, navigating icebergs on the way. 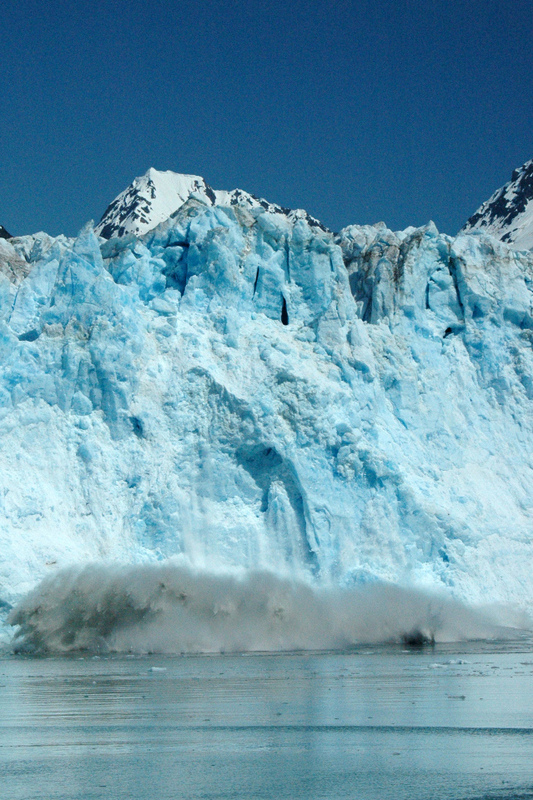 One of the highlights was watching events of ‘calving’ of the glaciers up close and personal. 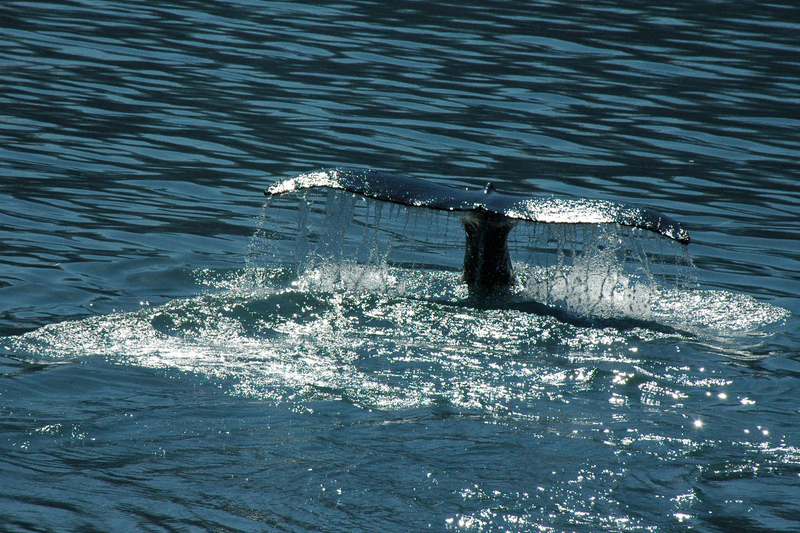 I never got tired of the humpback whales or the emerald blues sparkling in the surface of the glaciers. 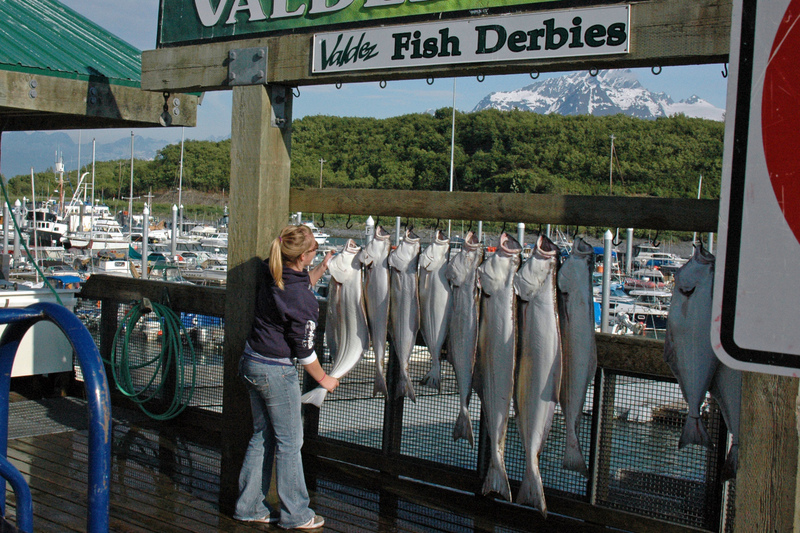 The Valdez area only has a few sunny days a year. Dan and I hit it perfectly. 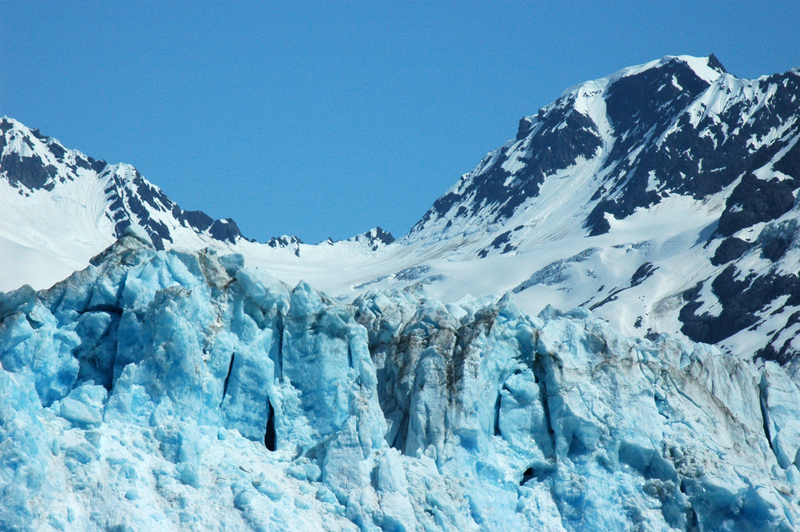 A nice catch on that calving glacier and the blues of that glacier shot are great! Thanks for the kind words. As you likely know, we were very lucky in two ways. 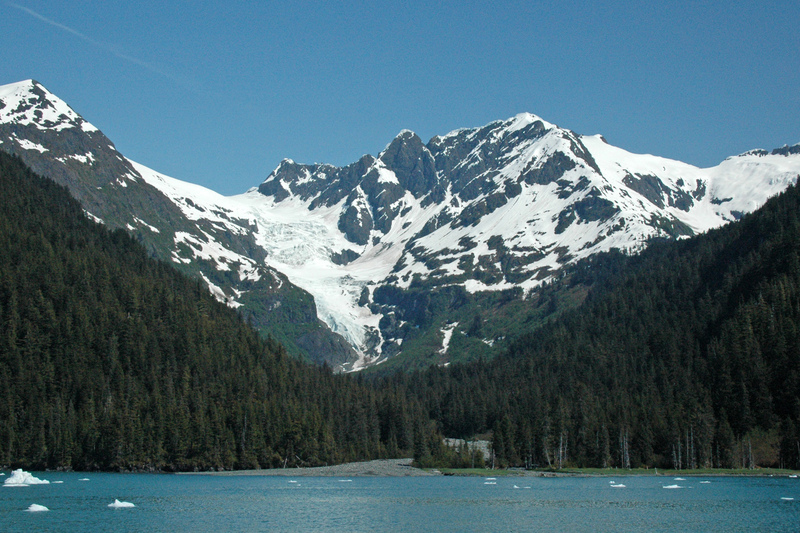 There are few days in a year with perfect weather on Price William Sound. We managed to hit one. Also, Stan captained our boat. He was a very good guide. It’s sad to know that he has passed on. Great photos along the Dalton Highway. I especially liked the fox. Breathtaking!!! 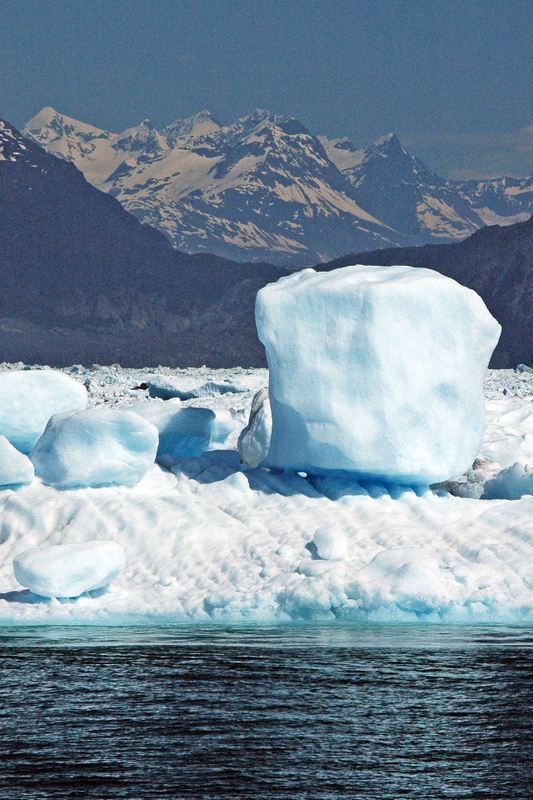 Crisp, sharp air–it comes from your photos! 🙂 Thank you.